Hemispheres Unlimited works with a variety of partner firms to make travel easy for our clients. This work however is strictly in the form of collaboration; no money whatsoever ever changes hands between Hemispheres and any of these companies. We feel it is important that this be the arrangement because only in this way can clients be assured that our recommendations are based solely on our assessment of the partner firm’s capability to handle their needs, and not based on our potential share of the resultant sales. As such, please peruse our list of trusted partners but also feel free to put us in touch with any other firm that you prefer to work with for arrangement of your travel needs. We are happy to collaborate with anyone, and look forward to serving you soon! *Alicia and Fabio are both native Argentines who have been running their business in Walnut Creek, California since 1981. 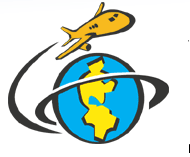 Hemispheres has been working with them for client flight arrangements globally and in-country services in South America for over a decade now. Most of the time they find the best priced flights to get our clients to the water and back home, but that is hardly the main reason we recommend their services. We do so because on those rare occasions when something goes wrong with a client’s travel, they are on it and doing absolutely everything they can to resolve it, usually before we even find out it has occurred. From last minute flight changes that make connections too tight to medical emergencies requiring entire itineraries to be redone, we have seen Alicia and Fabio solving problems so far outside of business hours that we wondered how they ever got any sleep. For flights, hotels, and attractions that need to be handled as part of your trip to come and fish with us, trust Holdy Tours to take care of you the same way they have taken care of us all these years. *Nobody likes to think that their trip might have to be cancelled or that they could have problems with missing luggage or other details outside of their control, but sometimes these things do unfortunately happen. That’s where AIG comes in and saves the day. With affordable policies and excellent customer service and response times, on the few occasions that we have had to see clients make claims, they have come through for those clients with flying colors. Just be sure to purchase your coverage directly after booking your trip, not at the last minute. *Luckily we have never had to use Global Rescue for anything all these years. 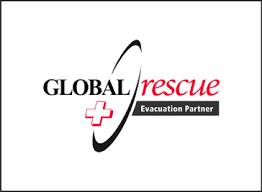 But should anything ever occur, they are the most trusted provider of medical evacuation services in the industry. *Travisa is our preferred visa application processing and facilitation source for clients traveling to countries that require a visa for entry. They have offices in many cities worldwide, but a quick call to the number above or email to the main customer service address will get you connected with the right people right away. *The girls at LOL Argentina (Gaia, Ana, and Marina) have been taking care of our clients on their way to Patagonia for many years, and are great at handling everything from airport transfers to hotel and activity arrangements.